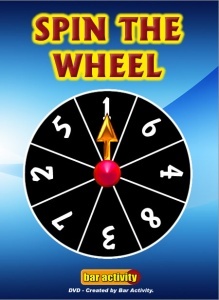 Now available on DVD, our popular Spin The Wheel game is ideal for pubs with a TV or large screen. Spin The Wheel is very simple to use. Just load the disc into your DVD player and follow the on screen instructions . in DVD player behind your bar. You can then offer your customers the chance to spin the wheel when they buy a particular drink (i.e. bottle of wine or pint of Carling), or allow all customers that purchase during certain time periods to have a go (i.e. 5-6pm or 10-11pm) to encourage people to visit earlier or stay on later. You can write the prizes that correspond to each number on a separate chalkboard. 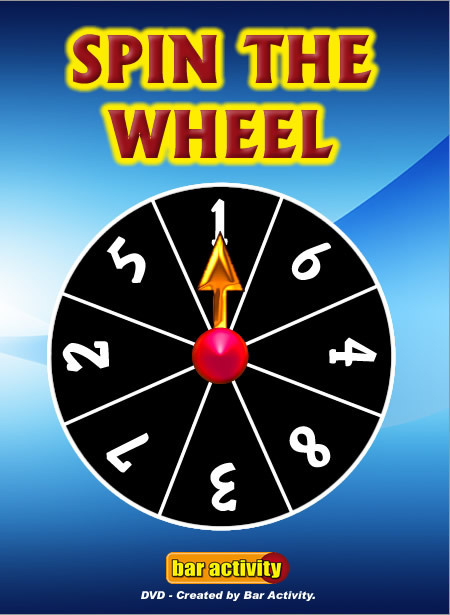 Alternatively, you can award players the point value of each spin, with the highest scorer at the end of the night/week/month winning a prize.